Speaking out and breaking the silence in cases of domestic violence and sexual assault is never easy, but it’s an enormous step in fighting the problem. 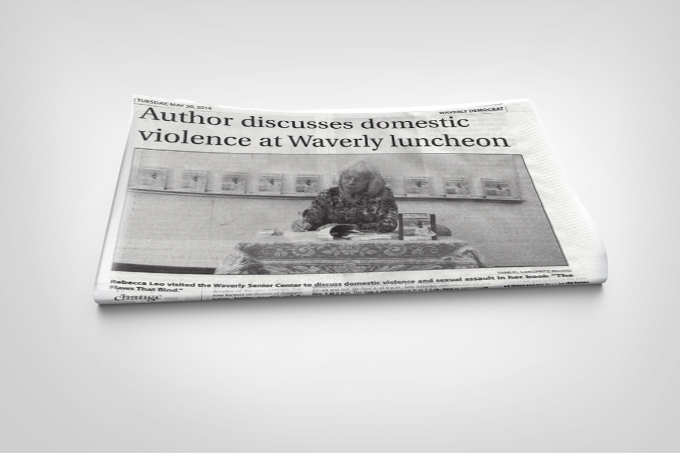 Cedar Valley Friends of the Family (CVFF) teamed up with author and Wartburg graduate Rebecca Leo to spread awareness of the growing issue of domestic abuse. 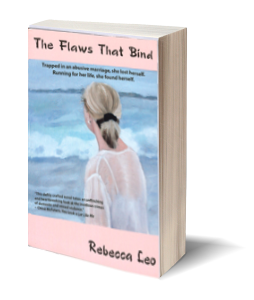 “The Flaws That Bind” is a novel centered around dealing with domestic abuse. While Leo could have made this a real life story detailing her experiences with abuse, she chose instead to draw upon those events in order to paint a more vivid picture for her story. This has led her to describe “The Flaws That Bind” as a memoir based novel. It’s inspired by real people and events but Leo wanted to be clear that it is by no means an autobiography. Writing a novel that victims of domestic violence can relate to can be a huge assistance to them whether they’re going through it currently or have dealt with it in the past. Abuse is a touchy subject, as you never know who has, or may be struggling with domestic abuse. It’s rare for people to be comfortable enough to open up about their battle with domestic violence. While memories of abuse can be painful, Leo knows the importance of making victims of domestic violence feel that they are not alone in what they’re going through. “So many people walk around with these secrets and it’s a relief for them to be able to talk to somebody about it,” Leo said.